North America’s never-ending burger wars have entered a new phase. As the reigning king, McDonald’s, looks for ways to revive growth and win back the affection of shareholders, investors are hunting for more exciting opportunities. The most recent example of the potential payoffs and perils from that strategy is Golden Arches’ exact opposite – a tiny chain of burger joints with a faddish following and modest profits. 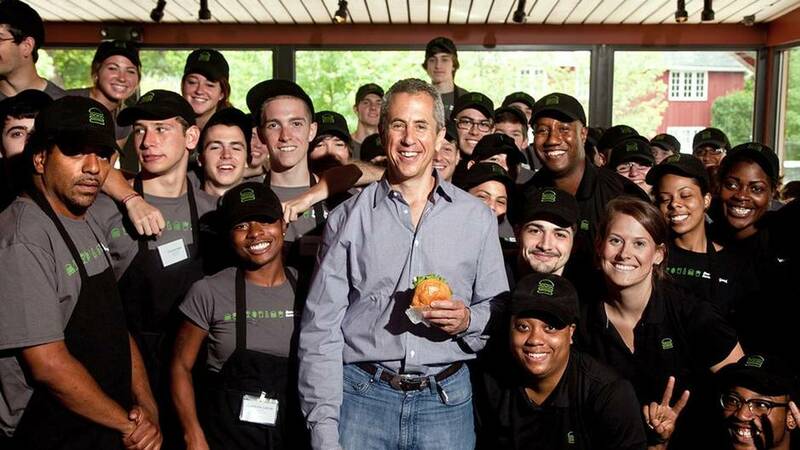 Exactly what has turned Shake Shack Inc. into a cult restaurant, let alone a cult stock, is hard to pin down. Its menu features fast-food standards – shakes, burgers, hot dogs, fries – along with Midwestern treats such as frozen custard. Upscale ingredients bump up the gourmet appeal, as do beer and wine, but fundamentally the chain’s offerings are roadhouse fare. “Some items are very good, but nothing at Shake Shack is exceptional,” wrote a USA Today reviewer last year. What is exceptional is investors’ willingness to buy into the vision. When the New York City-based chain went public in January, its shares gained more than 100 per cent their first day, shooting from $21 (all currency in U.S. dollars) to $45.90, and more than doubled again by May. Since then, they have retreated to a round $50, but still trade at more than 180 times next year’s forecast earnings, making Shake Shack one of the most expensive restaurant stocks in North America. The simplest explanation for the stock’s lofty valuation is that it appeals to investors’ desperate hunger for the next big thing in fast food. For that, blame burritos, not burgers. 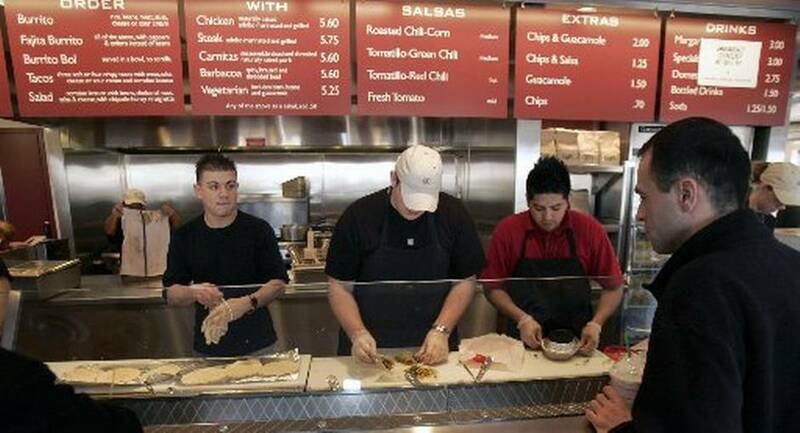 Simply put, no Wall Street analyst wants to miss out on the next Chipotle Mexican Grill. Chipotle made its investors wealthy as it grew from a single shop in Denver to 1,878 locations. Its emphasis on its fresh, naturally raised ingredients persuaded customers to shell out several dollars more per meal than they would at Taco Bell. Despite its size, the company is still adding outlets, and racking up sale s gains at existing locations. Chipotle “succeeded in teaching Americans that it was possible to order a high-quality dinner at a counter, ” says Paul Westra, an analyst at investment broker Stifel, Nicolaus & Co. Inc. Shake Shack seems to check many of the same boxes as Chipotle. It, too, boasts of a dedication to fresh, high-quality ingredients. It, too, enjoys street cred with foodies. It, too, displays a streak of social awareness that appeals to millennial customers. Launched in 2004 by Danny Meyer, the New York City restaurateur behind the well– known Union Square Cafe, the burger maker began life as part of a project to revitalize Central Park. It continues to regularly raise money for kids’ charities. “Perhaps counterintuitively, by outbehaving its competition, Shake Shack ultimately ends up caring for its investors by delivering a lifestyle brand with privileged access to customers, to employees, to real-estate sites, and to suppliers around the world, ” Westra says. Make of that what you will, but the proof is in the cash register. The typical Shake Shack averaged $4.6-million in sales in 2014, according to money manager William Blair & Co. LLC. By contrast, industry sources estimate that McDonald’s does only about $2.5-million per location, while most other burger chains ring up a mere $1-million to $2-million. Of course, the problem with such comparisons is that Shake Shack has relatively few outlets and many of them are in places such as Dubai, Moscow and Istanbul, where its all-American menu may enjoy more novelty appeal than it would in Saska toon or Des Moines. When it went public in January, the chain had just 63 locations (fewer than 40 of them company-operated) and about $120 million in annual sales – barely a blip on the screen of the big burger chains. The company says its long-term goal is to have 450 company-operated outlets. But at its current pace of roughly 12 new restaurants per year, it will require at least three decades to hit that level . As competition heats up in the gourmet burger arena, the chain will face increasing competition for burger lovers. Every major city in Canada and the U.S. now boasts a multitude of upscale gourmet takes on the fast-food staple. Even those who praise the company acknowledge it will have to sustain an impressive pace of growth to justify its share price. Westra, the Stifel analyst, believes Shake Shack will ultimately have 1,150 company-owned and licensed locations, and he places the current value of that future empire at $44. As for the current company, as is? He estimates it’s worth $6 – only slightly more than a single ShackBurger. It takes a hefty dash of optimism to make that math palatable. More from this month's issue of Globe Investor magazine.